First came the systematic failure of our financial institutions prompting the Tarp bailout. Then GM and Chrysler threatened they would have to file for bankruptcy if they were not bailed out by Washington only to file for bankruptcy shortly after being bailed out. The difference being that the Obama administration, now having a huge stake in GM/Chrysler, intervened to turn bankruptcy law upside down in order to bail out the United Auto Workers Union at the expense of the Bond holders. Next to be bailed out was the teachers unions with a $26 billion package passed in August (actually the stimulus contained a bailout for the teachers union as well). Most pundints speculate that the next round of bailouts will most likely be for the states. A dismal economy resulting in diminishing revenues coupled with increased federal mandates tied to stimulus payouts and the Obama Health care bill will cripple many state budgets. This, of course, may be by design. Nothing does more to create an all powerful central national government then to make the once proud independent and sovereign states grovel and beg for funds from Washington, without which they would collapse. Well, that day has arrived. Massachussetts and their utopian Romney Health Care for all has nearly bankrupted their hospitals. 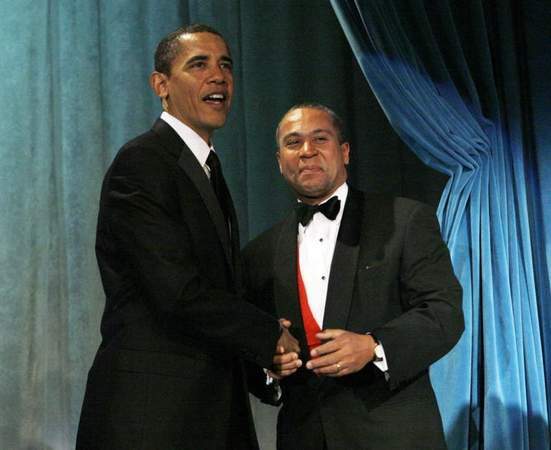 Not having the money in their coffers, Governor Deval Patrick got on his knees to secure a bailout from Dear Leader Obama. According to the Boston Globe the Obama administration has agreed to a plan to infuse $435 million into Massachusetts hospitals. The plan, negotiated with Governor Deval Patrick’s administration over the past seven months, includes $180 million for BMC and gives Cambridge Health Alliance, which runs the state’s only public hospital, an extra $163 million in federal Medicaid funding over two years. Boston Medical Center laid off 119 nurses and managers last month, and has used cash reserves to make ends meet. But without the federal money, Walsh said, the hospital would have run out of reserves by next fall, leading to a much larger reduction of its nearly 6,000-person staff or consolidation of services with another provider. I am not clairvoyant, but I cannot help but predict similar collapses all across the country as Obamacare mandates expand the number of people covered by state funded Medicaid while cutting the Medicare reimbursements to hospitals and doctors. Dr. JudyAnn Bigby, secretary of Health and Human Services in Massachusetts, said the state pushed hard for the money, arguing that hospitals that care for large numbers of poor patients need help preparing for anticipated dramatic changes in the way providers will be paid by government and private insurers. As part of the agreement with the Obama administration, the hospitals must begin the transition to a new payment system and show they’ve taken steps to become more efficient. Massachusetts, by passing Romney Care, has a head start on the rest of the country, if we do not repeal Obamacare we can expect the same results everywhere. I don’t care what Andy Griffith says.